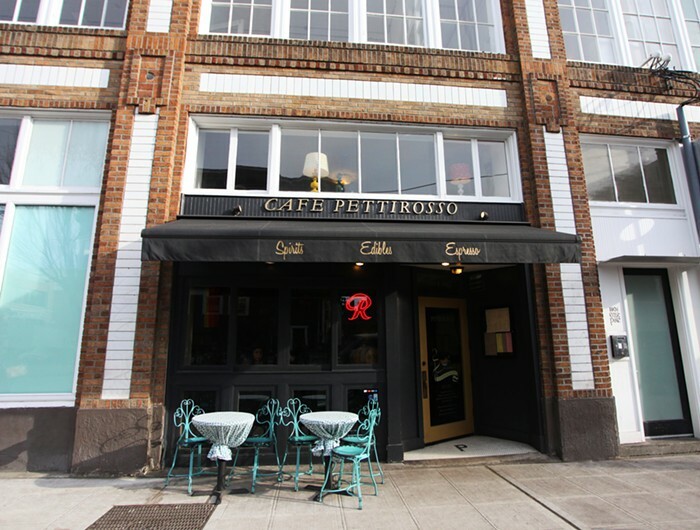 A Capitol Hill standby known for its extra-great espresso (from a vintage hand-pulled machine), cute little Pettirosso closed in 2011, reopening with a bigger menu, more space, more hours, and lots of booze (in the form of a full bar). Say hi to the incredibly friendly owners, sisters Yuki and Miki Sodos, who also run the very-much-loved Bang Bang Cafe in Belltown. Happy Hour Tue-Sun 3-6 pm ($5-$12 food menu, $4.50 wells, $1 off draft, $2 Rainier, $5.50 house red/white wine, $5 glass of bubbly).